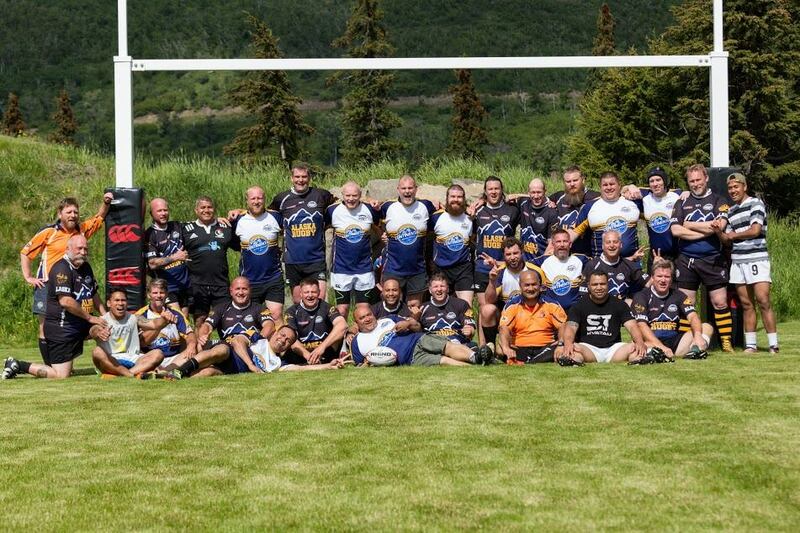 If scheduled properly we can have a match or two on the Alaska Mountain Rugby Grounds http://www.alaskarugby.org/ drop us a note at oosik.rugby@gmail.com and we can setup a trip of a lifetime! The Denver Golden Oldies is coming together nicely. We have reserved our festival hotel at the Hilton Denver Downtown, which is right off the light rail and near bars and restaurants. The total Festival Package price is $2245 based on double occupancy. The attached list shows the individuals that have committed to this not to be missed tour verbally or via email. I have paid the initial installment of $500 per person for all listed. If you are not on the list & wish to attend, please make arrangements with me as soon as possible. To quickly recoup what I’ve already sent in I’ll need your initial installment of $250 by 1 Oct 2018. 2nd installment of $500 will be due 31 January 2019, 3rd installment of $500 is due 31 May 2019, 4th installment of $500 is due 31 August 2019, and finally the remaining balance 31 Jan 2020. If you wish to pay in full now, that would be fine. Please make checks payable to “Alaska Golden Oldies Rugby” and send to the address listed at the end of this email, for the less technology challenged this is the first tour we’re offering online payment options by simply using https://www.paypal.me/DDelozier if you have PayPal you can use it, but you can also use that link without a PayPal account which offers a credit card and bank transfer options as well. if you use credit please add the 3% extra (what comes out as surcharge) to cover entire cost of trip. The Festival is scheduled to begin on Monday June 8th and end on Monday June 15th. That covers 7 nights accommodations during the festival, as well as ground transportation and Festival functions. Go to Golden Oldies Rugby Denver and look at the programme for more specific information. Unlike other festivals we have the unique opportunity to host a mini festival here in Alaska prior to the main GO, Mainland Kiws are already committed for 1-6 June 2020 and we expect up to 10 clubs in the mix. there will be a huge prefestival, two days of rugby, and an awards dinner before we all pack up and fly to Colorado. For those needing extra nights accommodation at the Hilton Denver Downtown, please let me know and we will work with Golden Oldies to book those. Monday afternoon will be the first venue which is The Parade of Nations and Welcoming Party. If you haven’t attended before, both are memorable. If you are ready to book your airfare and wish for help, please contact Maria at Worldview Travel marvila@roadrunner.com and she will be happy to assist. Maria has worked with us for 20 years and is knowledgeable about different options. We do not typically work on group rates due to the fact that most of us have differing schedules for arrival and departures. If you are hoping to use mileage, I would do so immediately as that fills up fast. Mike Half Baked Henderson is working on team tshirts and polos. Dave “Delores” Delozier will work on team jerseys and kit, he will ensure pockets are part of the shorts and attempt to have everything spelt correctly as Devnre 2020″‘ is a main USA city and deserves that respect. We will decide as a group regarding appropriate team kit for the socials. Please get to me with your intentions if you are not already on the paid list. Hotel space is tightening up and I will need to reserve additional space asap. Please forward to anyone who may be interested in joining in the fun. Apologies to those who received this twice, trying to reach all. Future emails will be group oriented to those who have committed to attend. Please make checks payable to “Alaska Golden Oldies Rugby” and send to the address listed below. Glad to answer any questions.